1. 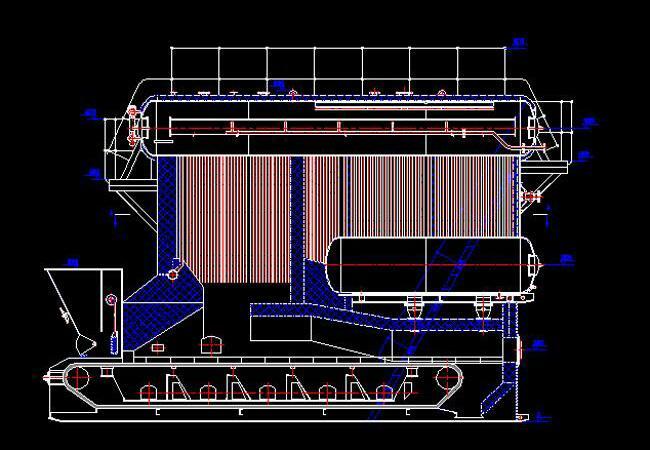 New pot SZL-type assembly of water tube boiler, the use of double-drum vertical arrangement, burning for the chain grate. Boilers fired biomass into solid fuel. 2. 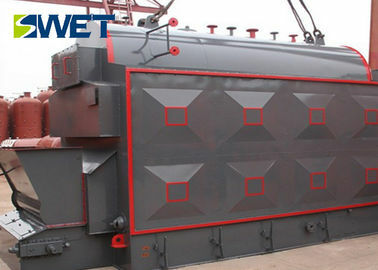 The water wall on both sides of the furnace adopts the membrane water wall structure. The water wall tubes on the front and back walls of the furnace extend downwards to form the front and back arches on the upper part of the grate, thus increasing the sealing performance of the boiler, increasing the furnace volume and heating surface, Reinforced the strength of the arch. 3. After the furnace for burning ember chamber, convection tube bundle, rear economizer. 4. Flue gas through the hearth, burning chamber, convection tube bundle, economizer into the tail flue, through the precipitator, induced draft fan, chimney into the atmosphere. 5. The front wall is equipped with secondary air, which is controlled by the valve. It is put into use when biomass fuel is burned, and the combustion is enhanced to fully burn the fuel and improve the combustion efficiency. 6. Higher feed inlets to meet the needs of biomass fuels. 2. Original membrane wall structure. 3. Dedicated GEF slag removal technology. 4. Reasonable grate seal structure.